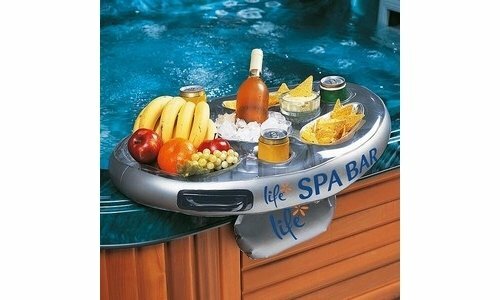 Bring the fridge to your spa with the floating spa bar. The spa bar can also be attached to the side of your spa. The spa bar is ideal for storing your food and drink whilst you relax in your spa.